Having second thoughts about an email you scheduled? DISCLAIMER: This only works for emails that are scheduled to be sent as your news release gets published. Usually, emails are sent as soon as you press Send - nothing you can do about those. Just make sure to start your campaign after you have tested everything. On the other hand, if you set an embargo for your news release, and you scheduled your campaign using the button Send on publish, we can help! 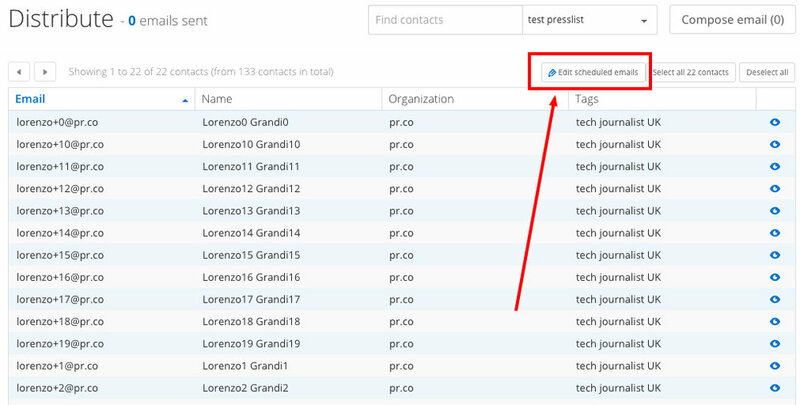 See the Edit scheduled emails button in the Distribution page. In the Edit page, you can either delete or edit your emails. Once you're done, the Done button will re-schedule the emails for the same exact time. 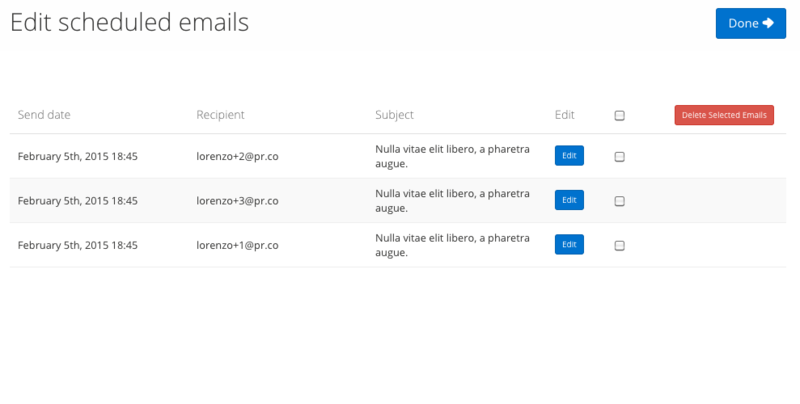 #ProTip: Do you want to change the time the emails are sent? Change the time you publish your news release.